I agree with you that successful traders are not born and are made. Many great 'Trend Followers' state they were inspired by Jesse Livermore. So I agree with you on this point. The best traders are employed by institutions and sit at a desk alongside other traders swapping info and ideas all day long. New traders at a institution's trading desk will get a mentor whether they want one or not. Not necessarily. From my understanding some of the best traders trade for themselves and make a lot of money. These people will never be in the limelight or media and will be totally under the radar. The people who work for the institutions will be excellent traders who are highly educated and experts in 'Quants'. It does not necessarily mean they are the best traders. A lot of the best end up setting up their own Hedge Fund or create their own trading system which is unique to their trading style, personality and philosophy. So yes Good and Excellent traders are employed by institutions but the very best trade for themselves and make an awful lot of money for themselves. These traders no one ever hears about. The good and excellent traders will get paid a handsome salary from the institutions with commissions. The best traders who trade for themselves will dwarf the incomes of such employees. I agree that by putting it down on paper and writing it down will assist. I know it does for me so I can only imagine it does for many others. As I have stated many times, having a 'Trading Plan' and 'Trading Strategy' is crucial. Once this is in place the traders personality and mindset will allow a creation of a 'Trading Philosophy and Style' this leads to the use of 'Technical Analysis' in my opinion. I see time and time again traders concentrating on 'Technical Analysis' without a 'Trading Plan'. 'Trading Strategy' and 'Trading Style' even under consideration. The 'Trading Edge' will come with lots of experience afterwards but for many it will never come. That is fine. One does not necessarily have to have a 'Trading Edge' to be profitable or successful but in my opinion the the very most successful and profitable traders do have some form of 'Edge'. that supply is being "eaten up "
Hi @elle. I'm starting to like your suggested 150EMA. Have you got another EMA favourite that you use? No worries @elle. I understand. Useful Nial Fuller tutorial on how he analyses price action on clean charts to spot trades. He's using the current gold chart in this article just published today. 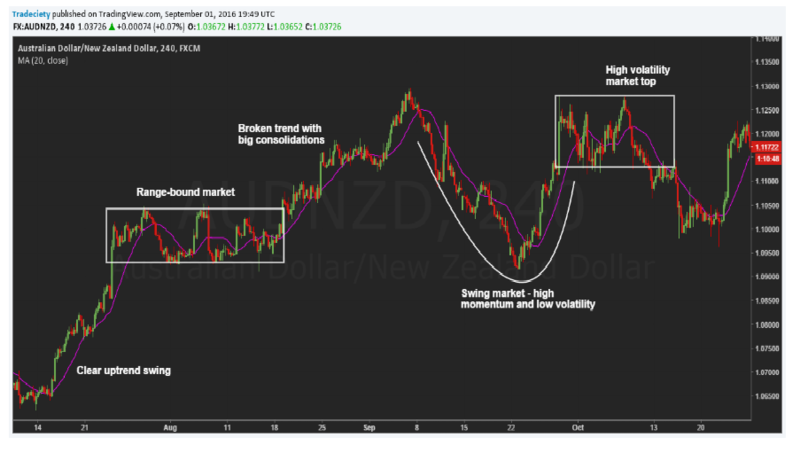 Very good Tradeciety article on tips to finding trade entries. This is an excellent piece by CryptoCred where he writes about those who have influenced his trading style. He explains exactly what core principles he has gained from each and how those principles have been incorporated into his own actual trading. 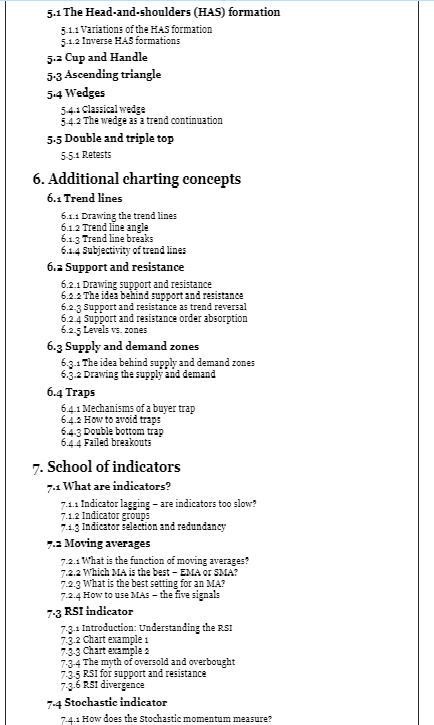 This is real core 'need to know' on actual trading from real traders rather than the woolly type of stuff you get from the usual crop of educators and chart technicians. As mentioned in the piece these guys also have many hours of online videos you can look up to get a fuller understanding of the concepts contained within the article. Interesting short article from Steve Burns on using moving averages. Moving averages allow traders the ability to quantify trends and act as signals for entries, exits, and trailing stops. They can become support and resistance, and give the trader levels to trade around. Below are examples of the specific moving averages with time frames. 5 Day EMA: Measures the short term time frame. This is support in the strongest up trends. This line can only be used in low volatility trends. 21 day EMA: This is the intermediate term moving average. It is generally the last line of support in a volatile up trend. 100 day SMA: This is the line that provides the support between the 50 day and the 200 day. If it does not hold as support, the 200 day generally is the next stop. 200 day SMA: Bulls like to buy dips above the 200-day moving average, while bears sell rallies short below it. Bears usually win and sell into rallies below this line as the 200 day becomes resistance, and bulls buy into deep pullbacks to the 200 day when the price is above it. This line is one of the biggest signals in the market telling you which side to be on. Bull above, Bear below. Bad things happen to stocks and markets when this line is lost. 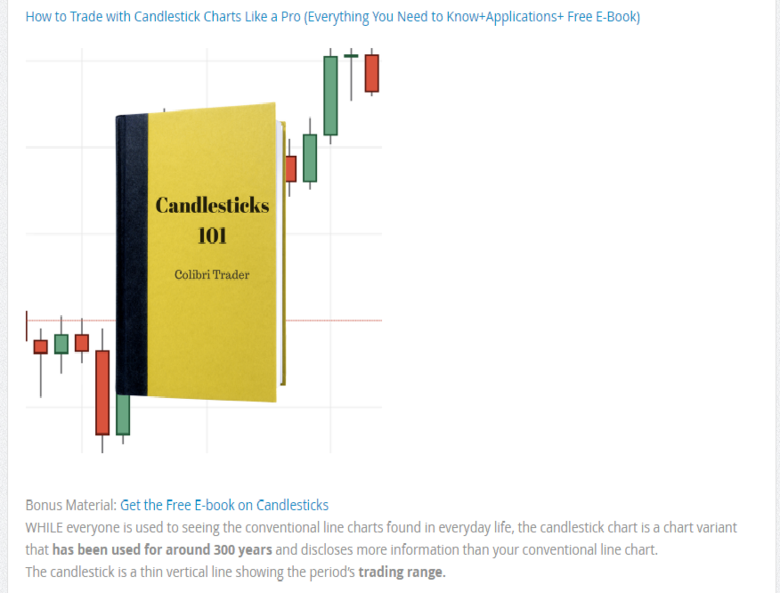 New Tradeciety book on technical analysis just published. Kindle version is free for the next 72 hours only. Very good short video on supply and demand as a leading indicator, support and resistance, and the difference between the two. I am not suggesting that your views and opinions on supply and demand / support and resistance are wrong or incorrect. I am merely going to offer a different side to the argument and try and offer a balanced view. Price is king in my personal opinion. How it reacts, how it behaves and how it is going to move in the future is of paramount importance. One needs to follow the price action rather than just assume that a previous price level will provide you with a trading opportunity just because it was historically support or resistance. I only want to look at what the price is telling me right now as what the price was telling me in the past is no longer relevant. It is historical and in the past. Once a support or resistance level has been broken then it really is no longer valid. If the majority of the traders are using supply and demand / support and resistance which I think they do on the retail side then if you emulate / copy these traders then your results will be similar. A lot of traders on the retail side make losses. This is of course unless you have an edge. Traders must do something different to the majority of the traders which gives them an edge otherwise their results and performance will be like other traders. If 81% of retail clients for IG make losses using CFD's and Spread Betting then one must do something different to those 81%. The question is are those 81% using supply and demand / support and resistance? @TrendFollower your comments would indicate that once again on this thread you are making comment on something you have not bothered to take the time to even look at let alone study. The text of the video explicitly describes the use of supply and demand by institutional traders, how they use it and why they use it. None of this is new to me, I have known this for years and so I have forwarded the video for others to consider and use as they see fit. It is a fact that institutional traders stack orders at certain levels to build positions over months, they do not chase price but wait for price to return to the level to continue to fill their orders. The majority of retail traders do not use supply and demand but rather are hooked on lagging oscillator indicators which pretty much guarantees they are the late dumb money. And so yes, retail traders should do something different and that is to copy institutional traders. No one should presume anything but here is an example of exactly how 'a previous price level provided a trading opportunity' 2 in fact, on the daily chart over the course of 2 months. First of all I am not relating my post to your video clips. You post plenty of links and clips. You post plenty of videos and post plenty full stop. Your post triggered me to post about support and resistance and my personal views. I could be wrong but this is fine. At least I am being honest. There is nothing wrong in having a view different from you. If I am wrong then I am wrong. There is a professional and polite way of discussing different trading and investing views. My views could be wrong and I am not suggesting I am right but it is ok and fine to have different views. Are you ever wrong? Why should you always be right? It is not about right or wrong. I am merely sharing my views. How do you copy institutional investors? Institutional investors can lose money and make wrong decisions. If by copying institutional investors by how much would it increase your performance by? Research which was credible would need to be conducted and supported by evidence as otherwise pretty meaningless. Also if one copies institutions then that means institutional capital is already in the trade before you. If you invest after them then what happens when they leave before you? Loss! Who moves the market prices, institutional or retail investors? Of course institutional investors do. Institutional investors have to sell to make a profit for their funds, trusts, clients, etc. You do make an important point but there is more to it. This discussion is for another day as it is both an important and interesting subject area and has a lot to do with a trading edge. @TrendFollower, if you want to debate something it pays to take the time to look at the case being put forward before refuting it. Firing off a reply to a post in a thread attacking what is just your own vague notion of what may have been said is neither professional nor polite. Copying institutional traders and market movers can be done by looking at supply and demand levels, if you want to learn more I suggest you take a look at the video. I have asked some really valid questions in my previous post. I don’t expect you to answer them as you may take the view that it is not your responsibilty to do so. Or you simply may not be able to answer or do not know the answer. That is fine. If you feel confident then please do enlighten not just me but the IG Community who may follow our threads and posts with answers from your viewpoint and perspective. I am more than happy to accept if I am wrong and I have absolutely no shame in admitting if I don’t understand something or find it complex. It would be really helpful if you could have a go at answering the questions I raise from paragraph 2 and 3 in my previous post. The IG Community would find it more beneficial than just links or videos, especially for new and inexperienced traders. For the record, I am not refuting supply and demand or support and resistance. I clearly state in my posts that I am presenting a different view and balanced argument. I accept the uses for them. I am not denying this point. I clearly state that I am not stating anyone is wrong and that I could be wrong. @TrendFollower. You reply to a post you could not even be bothered to look into while pretending it is all in the name of debate. You have not asked any valid questions because you are unable to make any reference to the subject matter contained within the post you were replying to. In your post of 'questions' you have at least 5 sentences finishing with a question mark none of which could be considered relevant because you clearly hadn't actually watched the video in the first place. You are not therefore adding to any debate or understanding as nothing you print has any context with the actual subject matter I posted. First of all, why does my post specifically have to relate to your video? I have asked you questions like many others have during the few years I have been on IG Community. If you do not wish to answer them or cannot answer them then that is fine. Just say so. That is no problem at all. You are focussing on the video and I am not. From past posts you seem to have a positive view on supply and demand and support and resistance. Possibly rightly so. I am not doubting that or even disputing that. I am merely asking some questions challenging it in a constructive way. I see you have still side stepped any of the questions which is fine. I am quoting myself below. I have merely challenged something you posted. I am not suggesting you are wrong. I am not even indicating you are wrong. I have seen you help and advise many people minute after minute, hour after hour and day after day. I accept most of them possibly do not challenge anything you post so maybe it is a case of you just advising those with less experience, knowledge or understanding than you. You must remember that you post so often and so much that someone like me who comes across a lot of your material will pick up on things like your views on supply and demand / support and resistance. It just so happens that your post triggered my thoughts. It was not the video clip which you are putting too much emphasis on. I am asking you questions which I think would be really helpful not just for me to understand but the IG Community in general. Anyway I can clearly see that you are not going to attempt to answer any of my questions which is fine. Let us leave it at that. There is no need to continue to drag this on unless you are going to articulate my points in blue. You seem very knowledgable but I do not know you or your background so cannot comment or assume just like you should not of me. You do not know my background or experience so one must refrain from making assumptions about the other party. Why do I have a need to pretend to debate? I mean I am at a loss for words! @TrendFollower, you have not challenged what I have posted because you have not referred to the actual presented subject matter at all. For the third time, your questions are irreverent because you will not relate them to the subject matter, you would not even be asking them if you had bothered to view and consider the subject matter. The video explains exactly how you can copy institutional traders, you either ignore that or astonishingly still haven't bothered to view it. Your generalised uninformed waffling while refusing to view or consider and relate anything to the presented subject matter is simply a waste of everyone's time, without any relevant context to the post you are replying to leaves me with nothing to answer. You are right, I have not viewed the video. I accept that point. I have never stated that I have viewed the video. I think I made it perfectly clear that I was not asking in relation to that video but never mind. I get it. You do not want to answer any of my questions which is perfectly fine. No problem. Let us leave it at that and not waste any further time. @TrendFollower, for the 4th time, the video answers your questions but you are clearly determined not to view it. You are intent on replying to posts without making any effort to consider the OP at all, if that is the case you should start a new thread and stop trying to hijack the thread of the OP.